Ford’s Ranger T6 has certainly given the double cab bakkie segment a shake and a stir since its introduction in 2011. Since then, the Ranger has received some nips and tucks, both inside and out and the drivetrain has even been smoothed over. The latest 3.2TDCi Wildtrak 4×4 joined us in Lesotho. The Ford Ranger is the only bakkie that has given the traditional market leader, the Toyota Hilux, a real run for its money. Sometimes the Ranger even outsells the Hilux. 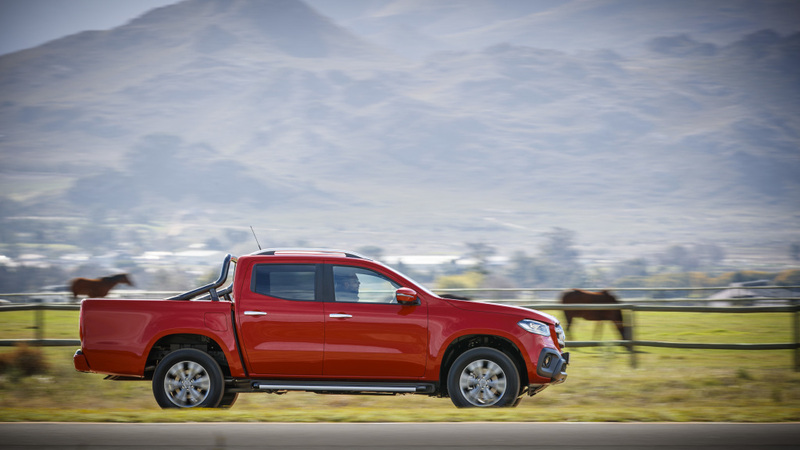 Clearly, the latest T6 Ranger is a huge improvement over the previous-generation bakkie. 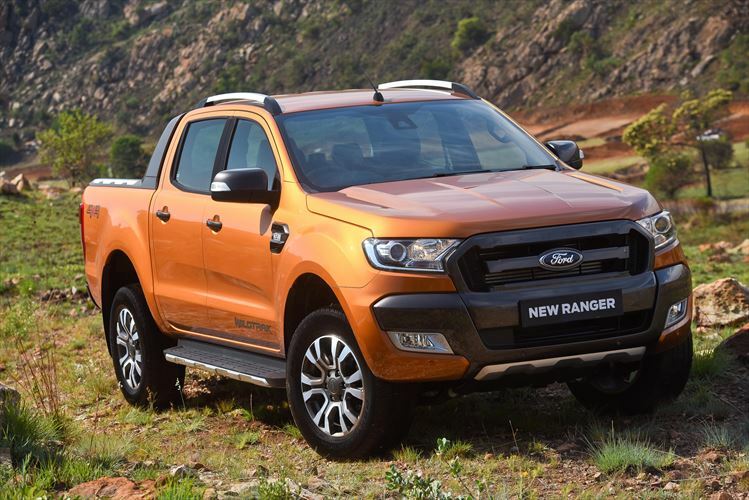 The size, the styling, the standard equipment, big-on-value deals and an aggressive pricing strategy have all contributed towards the Ranger success story. Let’s kick of with the styling: the Ford Ranger Wildtrak looks pretty darn good, we reckon. Decked out in the limited edition Wildtrak specifiction, it look the rugged, macho part. Some customers like to deck their Wildtraks out with all kinds of plastic bits and bobs but we reckon it doesn’t need any of that, it looks pretty fine as is. The bold new front-end styling combines with unique Wildtrak finishes such as the bold grille, unique detail colour finishes, decals, wheels, roof rails and exclusive colour options (the test unit was decked out in a lick of metallic Pride Orange, at R1 220 extra). In the cabin, the Ranger has certainly evolved from a workhorse-based lorry to a luxurious and comfortable lifestyle vehicle (that can still do some serious 4×4 too, by the way). The leather-trimmed and colour-coded cabin features Ford’s Sync3 infotainment system, which also includes navigation. It has a large eight-inch touchscreen, and you can also link up your smartphone to the system (via Apple CarPlay or Android Auto). Leading the active safety feature race in the bakkie segment, the Ranger Wildtrak also gets adaptive cruise control and lane keep assist. This radar-based system will not only provide lane departure and possible collision warnings, it will also maintain a set following distance behind other vehicles in traffic. According to Ford, the radar technology hails from a military background, and operates at the highest permissible frequency in the public domain. The Ford Ranger is the only bakkie in South Africa fitted with such a system. The Wildtrak is powered by Ford’s well-known 3.2-litre five-cylinder turbodiesel, coupled to a six-speed automatic gearbox. Over the years, Ford’s engineers have done wonders in refining the relationship between the mill and the ‘box, and have made great improvements in the noise, vibration and harshness (NVH) department. A more modern fuel injection system has smoothed things over somewhat, reducing that typical diesel clatter. There is also said to be a new, smaller turbocharger living under the bonnet. This allows the turbo to spool up quicker, reducing lag. The automatic gearbox’s shift points have been adjusted accordingly. Power and torque remain unchanged at 147kW and 470Nm, and the Ranger certainly has the go to match the show. Getting off the line is no longer an affair marred by some lag… instead, the Ranger 3.2TDCi blasts off the line in rapid fashion, quietly and smoothly. 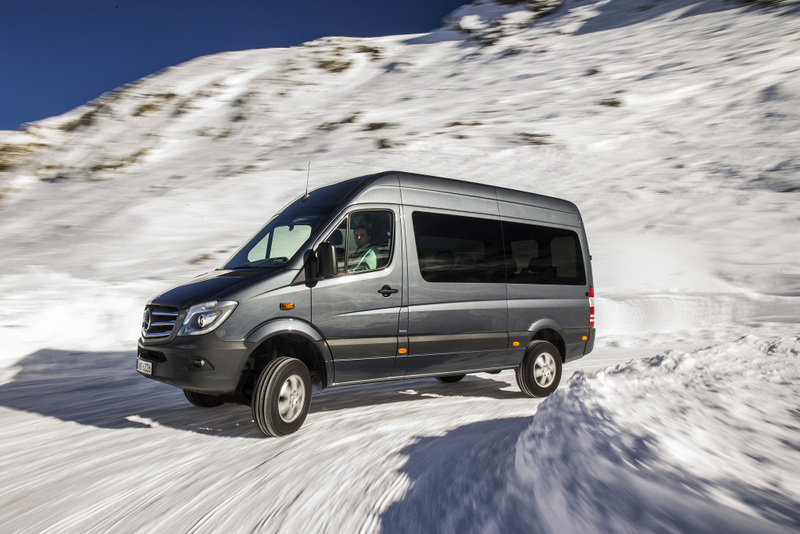 At 120km/h, the cabin is quiet, the ride afforded by the workhorse suspension surprisingly comfortable and composed. There are some SUVs on the market that can’t match this Ranger’s level of refinement and comfort on the open road. It has electronic tricks, too. Like electronic stability and traction control, and trailer sway control. In the off-road department, the Ranger Wildtrak 4×4 will go where any of the other bakkies in this test will go. It has a part-time 4WD system, activated via a dial between the front seats (2H, 4H and 4Low) and there is also a rear differential lock, activated via a dash-mounted button. With that cool Wildtrak front bumper sitting lower than a standard bumper, the approach angle has been slightly compromised… it’s not a serious game changer, one just needs to be mindful of the fact when driving off-road. It’s not difficult to understand why the latest Ford Ranger has been doing so well in the sales department. It really has evolved from a workhorse into something way more civilised, urban and comfortable. Yet it still has that rugged edge about it… both in the mechanical and styling departments. The price? That’s R624 900. 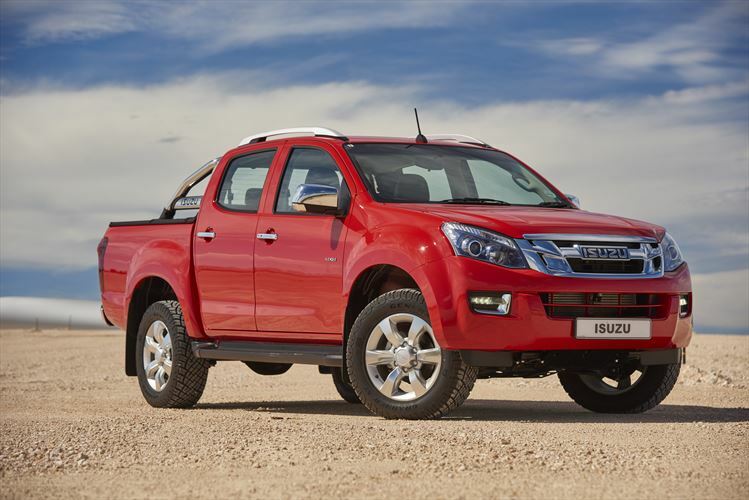 Which is about R30 000 more than its most direct rival, the Toyota Hilux 2.8GD-6 4×4 AT. But then there’s all the kit and tech in the Ranger’s cabin, and the fact that it is a ‘limited edition’ model with exclusive styling updates. 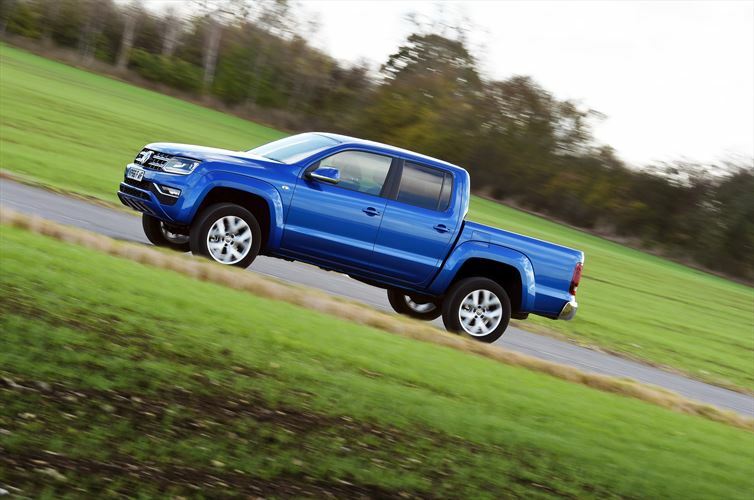 And, compared to VW’s swiftly-selling Amarok 3.0TDI V6, it’s a tangible bargain.